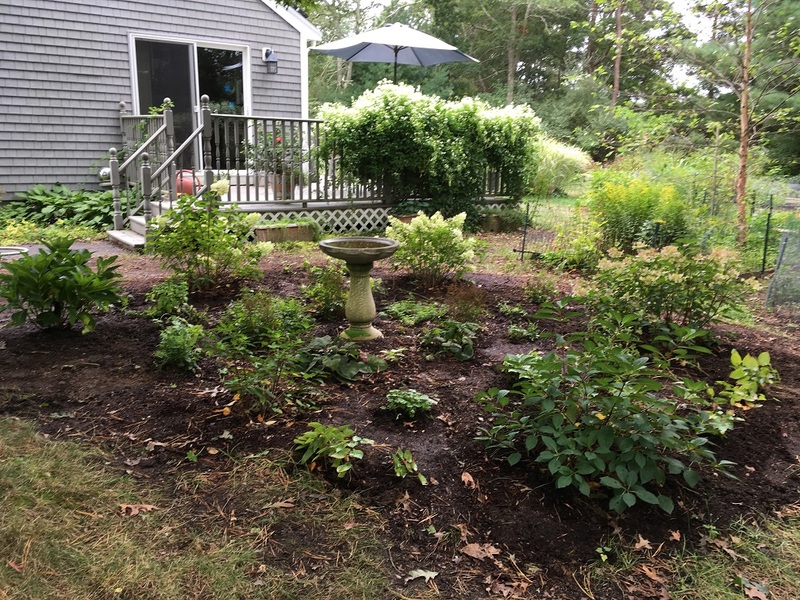 I moved the spirea to the corner of the driveway garden and planted the “Seaside Serenade” Monrovia in the hydrangea garden. Sifted out grass and debris from dug-up front yard soil. All in all, planting and clean-up took most of the morning. Made scrambled eggs with cottage cheese for lunch. I sat in on Ron’s appointment with his doc to discuss pain management. It was helpful. We stopped in to iCape to say hi to Robert, who gave Ron advice on phone mounts (Schosche, iOttie), and Peter, who was busy with a customer. We did a nice shop at Roche and saved $20. Ron made ravioli for supper. I made a pot of brown rice for burgers tomorrow.